The Brooke family connects with the Man family on the marriage of Hilary Margaret Marshall, whose mother was Emma Catherine Man, to Malcolm Archibald Brooke on 4 November 1932 in Malaya. Malcolm was born on 13 May 1903 in Kadina, South Australia, the son of William Soper Brooke (1861-1951) and Freida Alberta Hamilton Nickels (1870-1967). Born 3 September 1892 at Petersburg, SA, son of William Soper Brooke and Freida Alberta Hamilton Nickels. 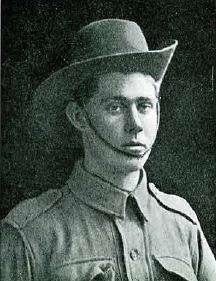 Enlisted 28 August 1914 and served as a Lance Corporal of the 10th battalion on Gallipoli and in France. He was wounded and invalided home, but re-enlisted and returned to France. He was captured by Germans 22 August 1916 and released on 10 October 1918 but soon after was lightly wounded in arm; gunshot wound foot. He finally returned to Australia 9 September 1918 and resumed his Bank duties on 18th June 1919. Donald on 3 January 1987. BROOKE.— On March 19. at his late residence. North Walkerville. William Soper Brooke, beloved husband of Freida A. H. (Daisy) Brooke, and loving father of Donald, Ina, Marjorie, Nora, Malcolm, and Joan. In his 90th year.